Germany, Sweden, Norway and Scotland have qualified for the 2019 Women' World Cup. Netherlands, Switzerland, Belgium and Denmark will compete in the UEFA playoff for the last World Cup spot. With the last National Women's Soccer League international break coming to a close. The last four direct spots of the UEFA (Europe) 2019 FIFA Women’s World Cup would be filled. While some NWSL players were fighting for a World Cup spots, others were gaining international experience in inconsequential matches. In all, six NWSL players from six different countries took part in the last UEFA qualifying matches. 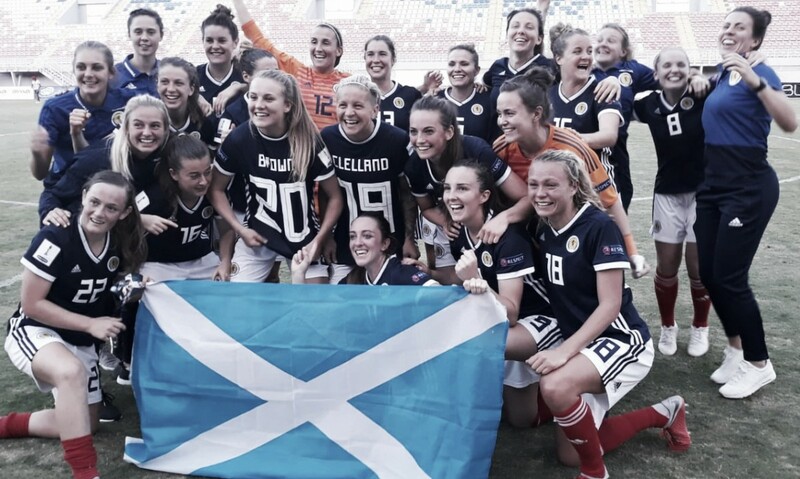 Utah Royals FC defender, Rachel Corsie and Scotland have qualified for their first ever Women’s World Cup tournament. Scotland's captain Corsie played all 90 minutes in Scotland’s 2-1 win over Albania. Former NWSL star Kim Little opened the scoring early in the match. After a late Scotland goal, to take back the lead 2-1, Scotland was able to kill off time to earn the three points. At the start of the day Scotland and Switzerland were tied on points atop their qualifying group. With the win, Scotland need a draw or a loss from Switzerland in Poland to qualify. A Switzerland win, would see the Swiss qualify to the World Cup due to Switzerland owning the first tiebreaker. Portland Thorns FC forward Ana Crnogorcevíc and Switzerland were not able to breakthrough Poland and settled for a 0-0 draw. The results saw Scotland qualify to the 2019 World Cup and Switzerland forced into the UEFA Second Place Playoff. 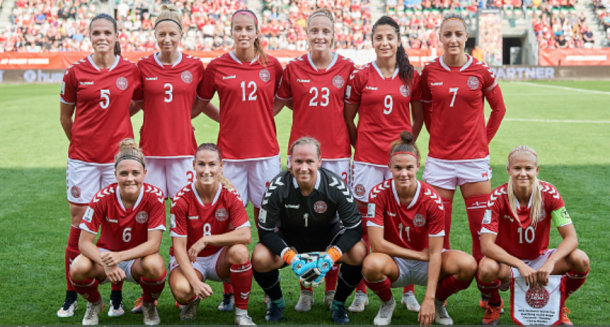 Seattle Reign FC defender Theresa Nielsen and Denmark played in a winner take all World Cup qualification match against Sweden. Sweden would score the opening goal in the 46th minute of the second half and would be all Sweden need to punch their ticket to the 2019 Women’s World Cup. Denmark is forced to join Switzerland in the UEFA playoff. With Germany atop the group and likely to qualify against the Faroe Islands, Utah Royals FC midfielder Gunnhildur Jónsdóttir and Iceland played in a must win match against Czech Republic to qualify for the UEFA playoff. Jónsdóttir registered one shot in the 74 minutes she played before being substituted off. Iceland equalized the match late but were unable to convert on a penalty in injury time resulting in a 1-1 draw. The draw would not see Iceland to the playoff, ending their World Cup qualifying campaign. Houston Dash forward Rachel Daly traveled with England to their last World Cup qualifying match against Kazakhstan. With England already World Cup bound, the Lionesses gave some of their younger players the start. Before being subbed off in the 71st minute, Daly scored England’s second goal in the 35th minute. The tally would be Daly’s 2nd international goal of her career. Washington Spirit goalkeeper Didi Haračić made her debut for Bosnia and Herzegovina in their last qualifier match against Russia. Haracic would allow three goals on seven shots on target. She would face 15 total shots and one converted penalty kick. Bosnia and Herzegovina finished fourth ahead of Kazakhstan in the final standings due to goal differential. The last European 2019 Women’s World Cup spot will be determined in the UEFA playoffs. It will involve the four best runners-up from the seven qualifying groups. Switzerland’s Ana Crnogorcevic, Denmark’s Theresa Nielson along with Netherlands and Belgium will compete in the six match tournament for the last UEFA 2019 World Cup birth. The first round matches will begin in October and the final two matches will conclude in November.